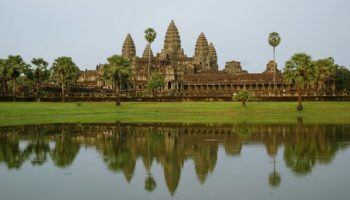 If you want to explore Southeast Asia, it would be a mistake to skip the incredible nation of Cambodia. 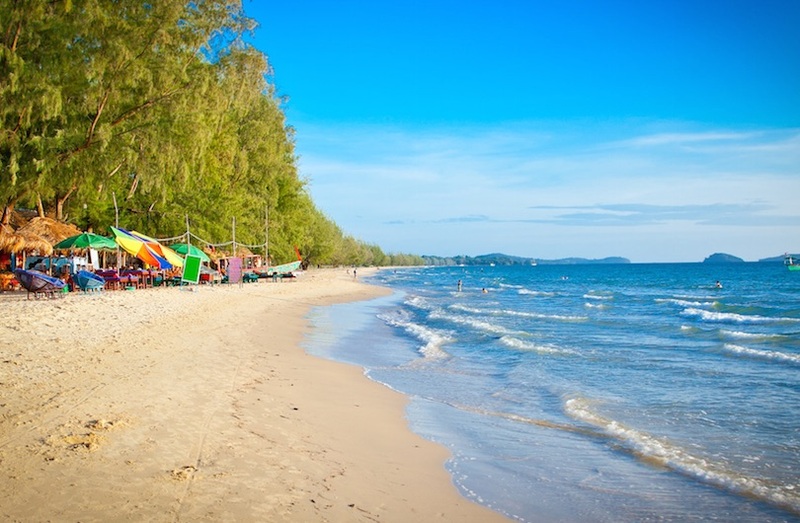 Nestled between Thailand, Laos and Vietnam, and boasting the blue waters of the Gulf of Thailand on one side, Cambodia is conveniently located in the heart of the region. 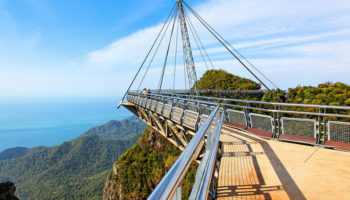 Best of all, it offers something for everyone, whether you crave the bustle of major Asian cities or you prefer world-renowned scenery and historic attractions. 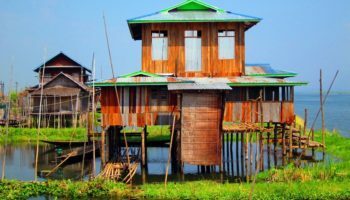 With this sample itinerary, you can plan an entire two weeks in Cambodia, making sure to hit the high points as well as a few hidden gems off the beaten track. 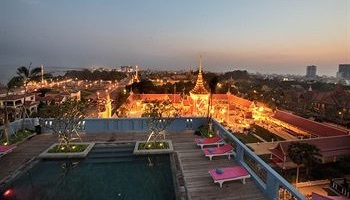 Where the Tonle Sap and the Meking Rivers converge, you’ll find the Cambodia capital of Phnom Penh. It was once known as the Paris of the East, thanks to a number of stunning French colonial buildings that remain in the center of the city. 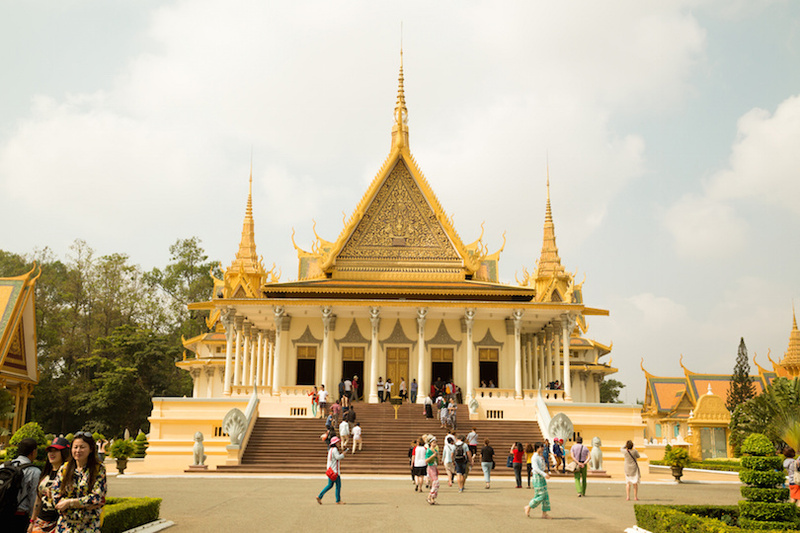 While you’re there, be sure to explore the famed Royal Palace, the National Museum of Cambodia, the hill temple known as Wat Phnom, and the Olympic Stadium that was built but never used in an Olympic capacity. For a glimpse into the darker history of the region, plan a poignant visit to the Killing Fields of Choeung Ek as well as Tuol Sleng Genocide Museum, both of which are important to the collective culture and history of Cambodia. 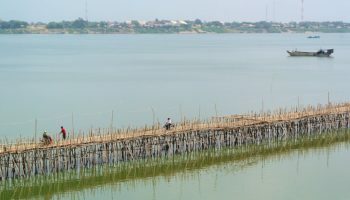 This small town in Northern Cambodia will offer a stark difference to the size and population of Phnom Penh, but it is a must-visit spot for nature lovers. 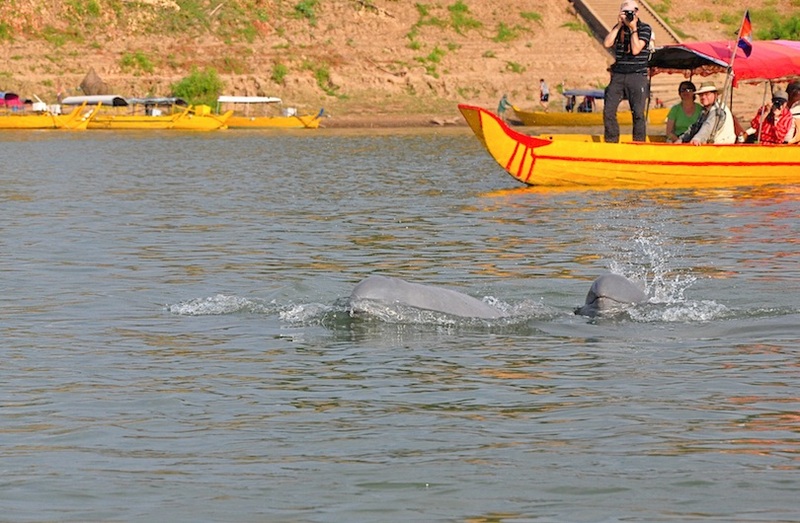 The main reason to visit Kratie is to spot dolphins in the Mekong River. You can sit on the banks with a drink and watch the dolphins play in the river, or you can set off on a guided boat tour to see them up close. Kratie is also home to excellent bird-watching, particularly for those eager to spot the rare Mekong Wagtai in a natural environment. Other ways to pass the time while in Kratie include visiting the turtle sanctuary, hiking the Mekong Discovery Trail, or kayaking in the Te River. 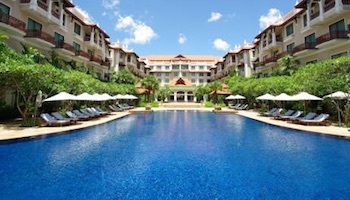 For many visitors, the most anticipated destination during a trip to Cambodia is Siem Reap, the gateway to Angkor. 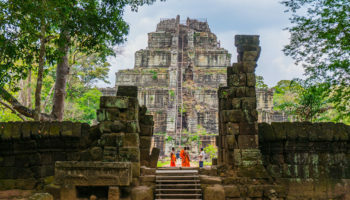 Inside the Angkor Archeological Park, you won’t want to miss the grand temple of Angkor Wat, the ancient capital of Angkor Thom, several more stunning temples in varying states of ruin, the Elephant Terrace, and the five impressive entrance gates. To learn more about the region and its incredible history, visit the Angkor National Museum in town. Round out your stay with wine tasting in Siem Reap, cooking classes, or a theatrical performance that includes Cambodian costumes, dancing, and music. 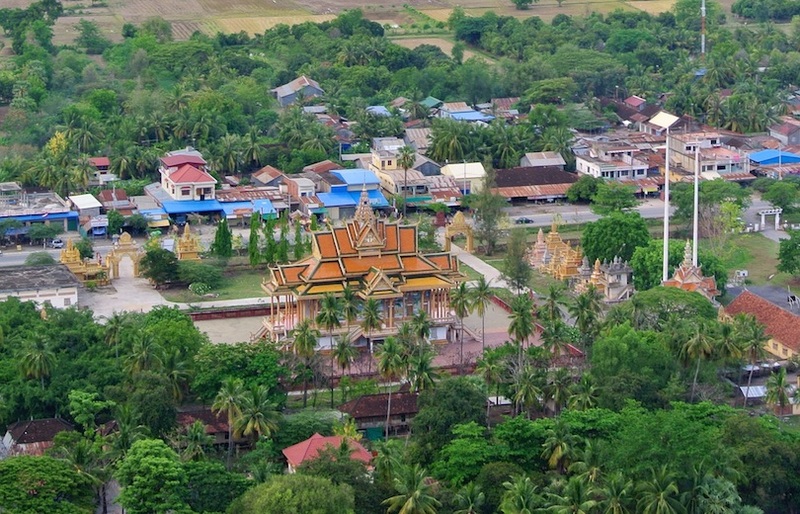 After Phnom Penh, Battambang is the largest urban area in Cambodia. 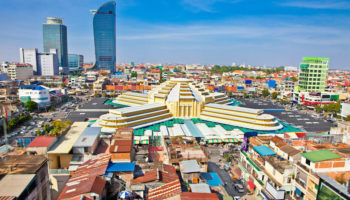 You’ll want to include two nights there in your Cambodia itinerary so that you can visit its many Buddhist temples as well as its colonial architecture. In addition, Battambang boasts a huge collection of statues all around the city, and spotting as many as possible is a pastime for countless visitors. 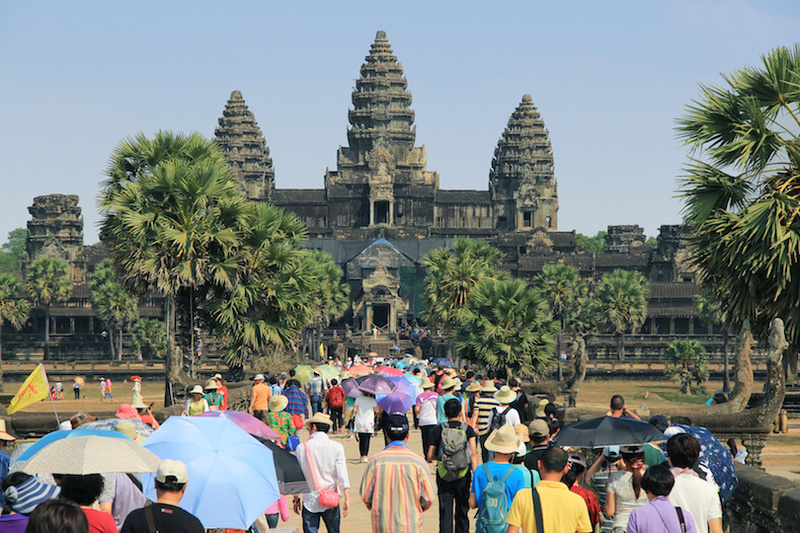 Tour the Governor’s Residence, Phnom Sampeu, Wat Banan, which is often called the miniature version of Angkor Wat, and the Battambang Museum. You can also ride the locally famous Bamboo train, a rustic means of transport that is open air and provides fantastic views of the surrounding landscape. 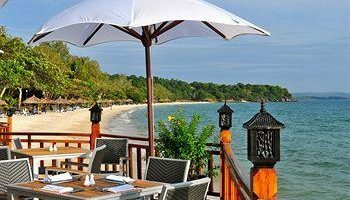 Known to many Cambodian locals at Kompong Som or even Snooky is the coastal destination of Sihanoukville. Until the 1990s, tourism was virtually nonexistent in this area, but today an increasing number of visitors are eager to kick back on the beautiful beaches. 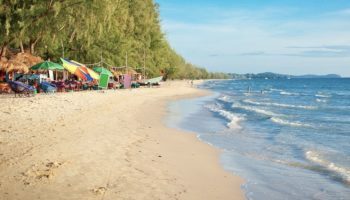 You can stay at hotels right on Victory Beach, Ochheuteal Beach, or Independence Beach, each of which is fantastic for swimming or just strolling in the pristine white sand. Sip fruity cocktails under the sun, or get active and rent a kayak to head out into the water. In the evenings, visit the Otres Market, where you can shop for local cuisine, pick up some souvenirs, and enjoy fantastic live music. 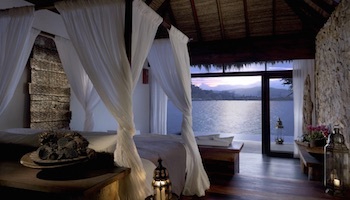 A fantastic place to round out your two weeks in Cambodia is the town of Kampot. Near to the beaches of Sihanoukville, Kampot is the gateway to the wonders and beauty of the Bokor National Park. The city itself is on the banks of a winding river that leads to the park, so popular pastimes include tubing on the river or dining at eateries on its banks. 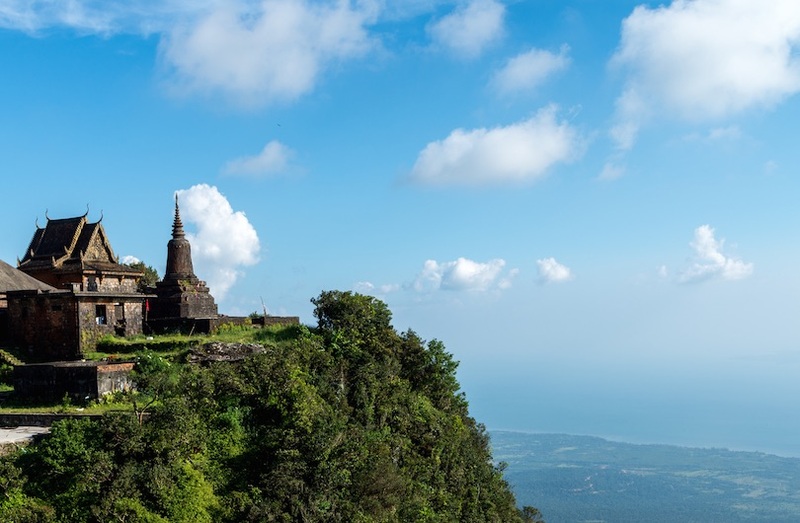 In the Bokor National Park, you can see the Black Palace, built in 1936, view several colonial French buildings, and treks for hours among the lush green scenery. Back in Kampot, shop at the Market and the Old Market to see what a typical Khmer family buys on a daily basis.